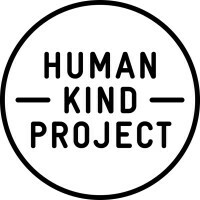 After having raised over $35,000 for Human Kind Project so far and receiving overwhelming feedback from the previous participants at our public fundraiser courses, Human Tribe has decided to run another public training program on 22nd March in Sydney where all fees will be donated directly to the Human Kind Project. In March 2017, our Founder & CEO, Nicole Morris was part of the Human Kind Project’s Leadership Immersion program to Malawi with the Hunger Project. While on this trip, Nicole learnt how the lives of women and children are literally put at risk every day in Nchalo (a regional community in Malawi) because they don’t have the funds to build a much-needed maternity ward. The people from Nchalo know what’s needed and can solve this problem; it’s just that they need partners (like us) to help them save over 300 women and children who die unnecessarily each year. So we've made the commitment to raise a further $36,000 beyond what we’ve already raised and we’re going to do that by running our #1 Selling Training Program ‘The Self Aware Manager’ as a fundraising initiative. Human Tribe’s The Self Aware Manager Program incorporates the Everything DiSC Management principles to help your Managers develop an understanding of their natural Management style, learn a way to recognise the different styles of the people they manage and coaches them how to adjust their delivery for the best possible outcome. The program is $600 per person and includes your Everything DiSC Management Profile, access to the My Everything DiSC platform and catering. And the great news! The program is tax deductible, as Human Tribe will be donating 100% of the fees from this program to the Human Kind Project. If you know of anyone that you think would benefit from developing their Management skills, we’d really appreciate if you could pass this information on. We’re keen to help as many people as we can improve their skills as a Manager, all while helping Human Kind Project as much as we possibly can – we love a win/win!